(Trent Nelson | The Salt Lake Tribune) Sandy's Hale Centre Theatre in 2017. 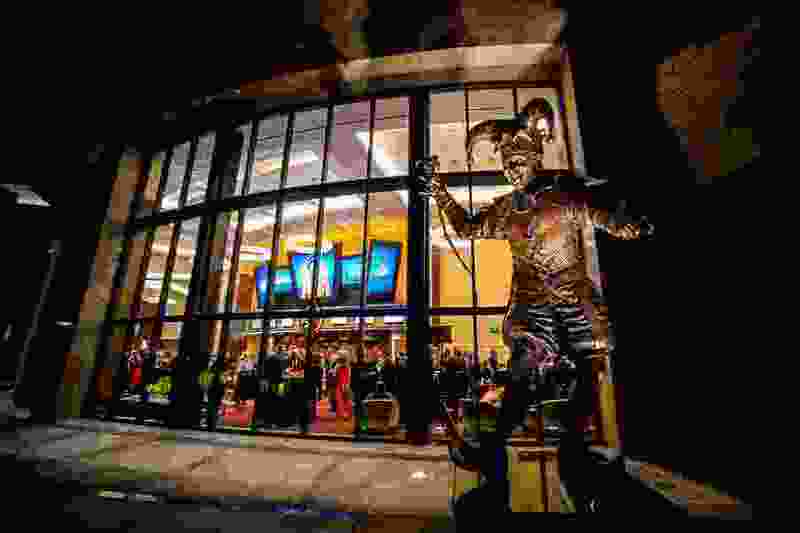 Its productions of “The Scarlet Pimpernel” and “Wait Until Dark” are included in the Utah Cultural Alliance's Free Night of Theatre, which distributes free tickets to theater performances across the state. Now Playing Utah is under new management — and the Utah Cultural Alliance has plans to make the website more comprehensive, more statewide, more appealing to millennials and easier to navigate. The site, at NowPlayingUtah.com, provides listings of concerts, plays, dance performances, art exhibits, arts fundraisers, family-friendly events, festivals, films, museums, sports, classes and more from 6,000 organizations — searchable by date, location and category. Since the site launched a decade ago, it has been managed by Visit Salt Lake and the Salt Lake Convention & Visitors Bureau. And, quite naturally, it put particular emphasis on events in Salt Lake City. Visit Salt Lake will remain a sponsor and board member of Now Playing Utah, a nonprofit that sells advertising and contracts its listings to various media outlets, including The Salt Lake Tribune. While no major overhaul of the site is planned in the immediate future, the new managers are looking for ways to “increase curation” and make it possible for visitors’ “metadata that travels with them on the internet” to steer them toward the listings that would be of the most interest to them. The new managers are also looking at linking to reviews on various news and arts sites. Making the announcement of the change, UCA also promoted Now Playing Utah’s annual Free Night of Theatre, which distributes free tickets to theater performances across the state. Last year, more than 700 tickets were given away. You can register to win tickets at freenight.nowplayingutah.com.